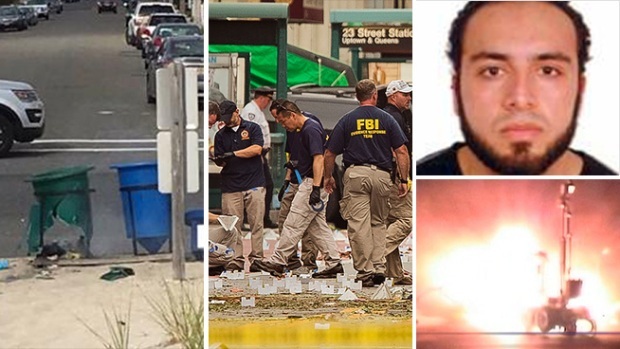 Ahmad Rahami was not on federal or NYPD terror watch lists before allegedly planting bombs in New York and New Jersey, but officials said Monday they did not believe he was part of a terror cell. 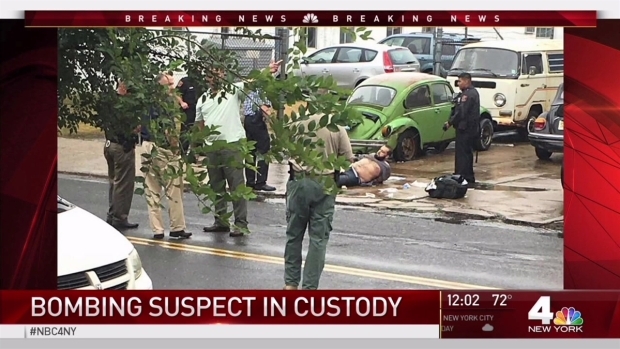 Rahami, a naturalized 28-year-old native of Afghanistan who came to the country as an asylum seeker in 1995, was taken into custody after a gun battle with police in Linden, New Jersey, that left two officers shot. The suspect was also wounded. Officials believe he is connected to a blast in Chelsea in Manhattan that injured 29 people and at least one explosion in New Jersey. 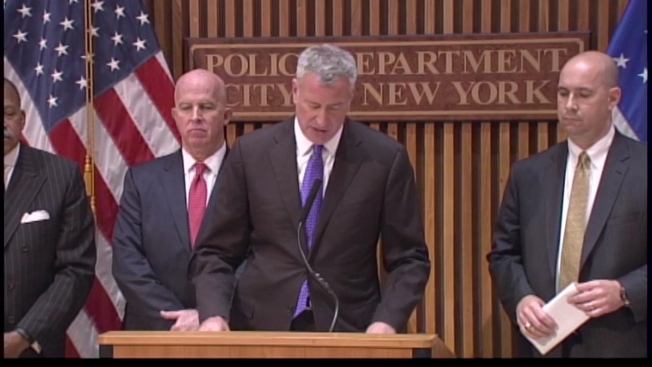 "We have every reason to believe this was an act of terror," Mayor de Blasio told a Monday afternoon news conference, adding that authorities were not looking for any other suspects. FBI officials said the investigation was ongoing and nothing was off the table, but as of now Rahami did not appear to be part of an organized group. "I have no indication that there's a cell operating in the area," FBI Assistant Director William Sweeney said at the news conference. The chaos began to unfold Saturday morning, when a pipe bomb exploded in a trash can near a Marine race in Seaside Park, New Jersey. The race had been running late, and authorities have said they believed the device was timed to detonate when runners would be racing by the bin. Hours later, an explosive device went off in or near a large construction bin on a busy block in Chelsea, leaving 29 people with minor injuries. Another device was found four blocks away and removed to a Bronx firing range for controlled detonation. Then, late Sunday, five pipe bombs were found in a trash can near an NJ Transit station in Elizabeth, New Jersey. One of the bombs exploded as a robot tried to disarm it. No one was hurt. The pipe bombs were similar to the one that detonated in Seaside Park, but they have not been linked to Rahami. The news of the suspicious bag at the Elizabeth station in New Jersey was first reported late Sunday, around the same time that the FBI said it had taken five people into custody for questioning after a traffic stop on the Verrazano Bridge. The agency said that the five individuals were from Elizabeth, New Jersey and were in a vehicle previously associated with Rahami. The FBI said Monday afternoon that none of the five were under arrest. One of five explosive devices found in a bag near a train station in New Jersey exploded as a police robot investigated it early Monday morning. Katherine Creag reports.